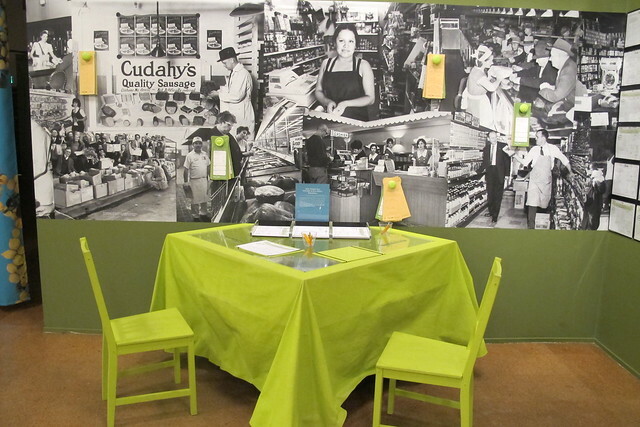 It was set up so that you could sit down at tables to admire the vintage menus under the glass. 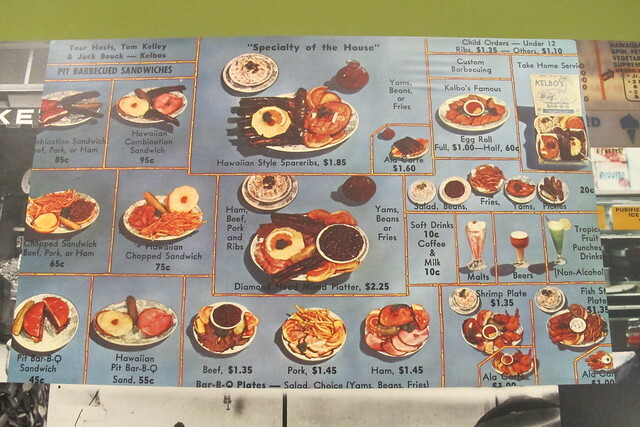 Each area corresponded to a theme — cafeteria-style counters for Clifton’s, a round table with a lazy susan stocked with condiments for Chinese restaurants, etc. — but all were painted neon green to provide some continuity. 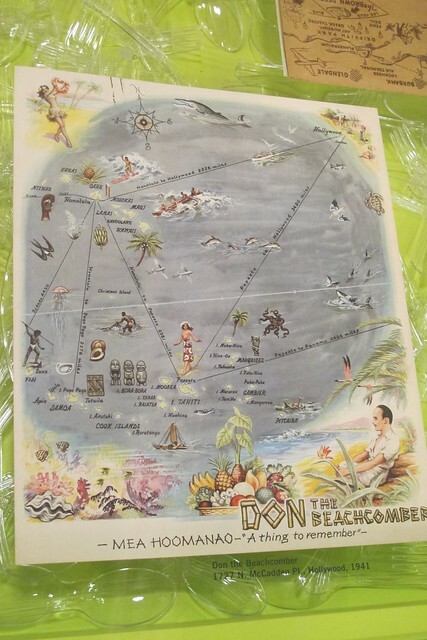 A 1941 menu for Don the Beachcomber was included under “The Menu as Map” as an example to illustrate “…how restaurants subjectively envisioned the borders and limits of the city that surrounded them…(what was on their maps was just as important as what was left off).” This cover draws a connection (literally and figuratively) between Hollywood and the Polynesian islands across the ocean that inspired the restaurant. 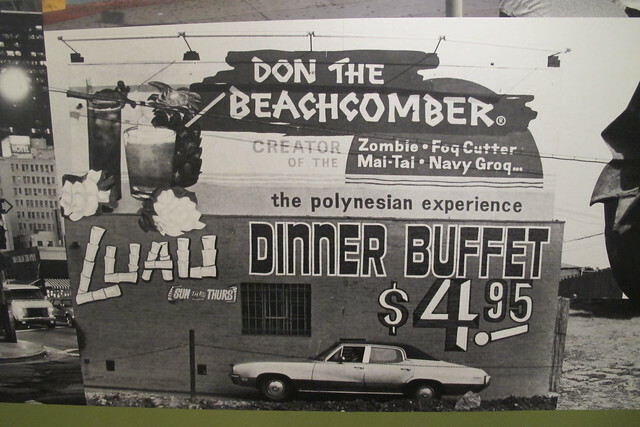 Don the Beachcomber was also featured among the restaurant photos plastered on the walls, along with other iconic spots like Bob’s Big Boy, Tail O’ The Pup and The Tamale. 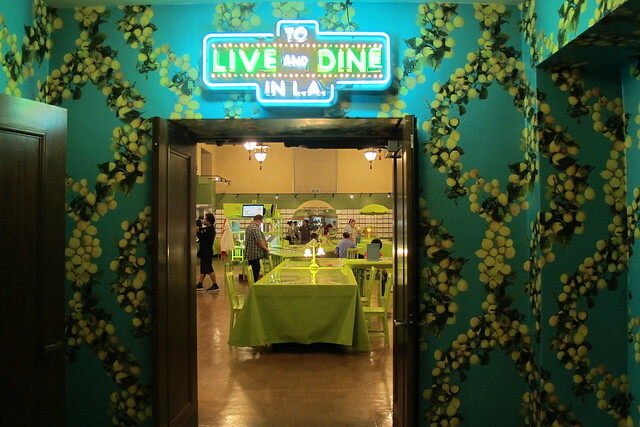 Visitors to the exhibit were encouraged to put together their own “ultimate L.A. menu” to represent the city. 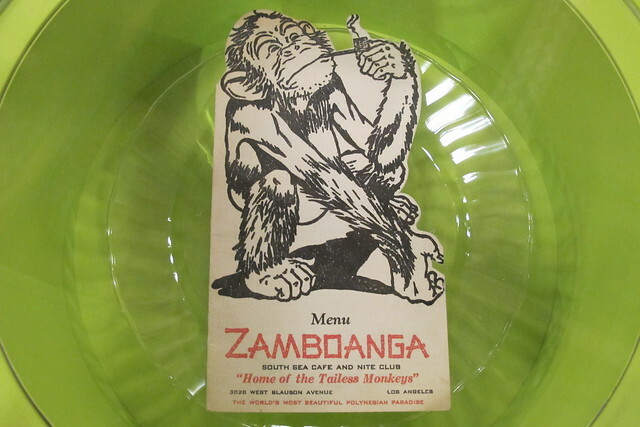 Of the dozens up on display, I noticed this one mentioned their ideal appetizers and drinks as fried shrimp, spareribs and a Mai Tai from Don the Beachcomber. 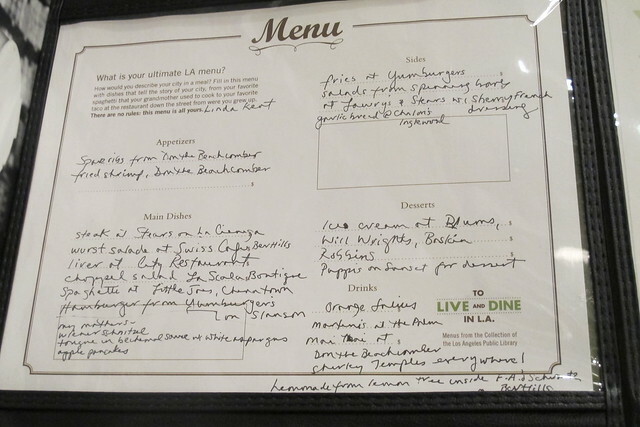 What would your ideal L.A. menu be? 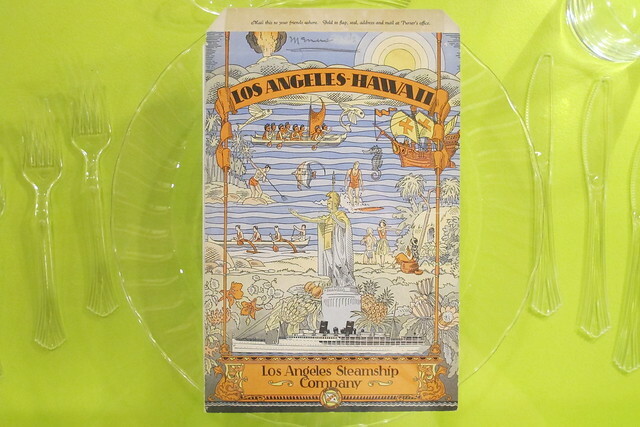 The exhibit has already concluded, but you can pick up the companion book To Live and Dine in L.A.: Menus and the Making of the Modern City by Josh Kun. Thanks! 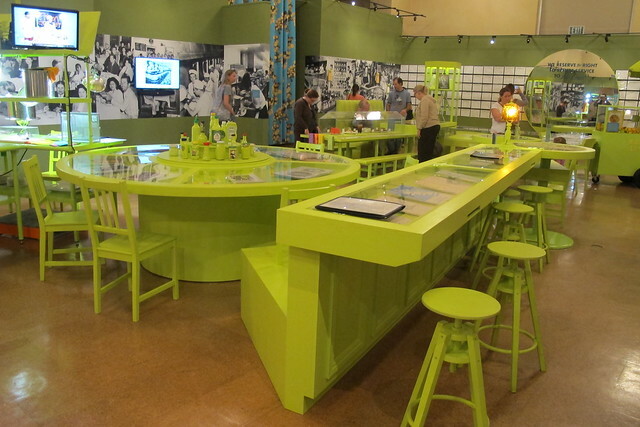 I only wish I’d written about it sooner so people could have had a chance to check it out.